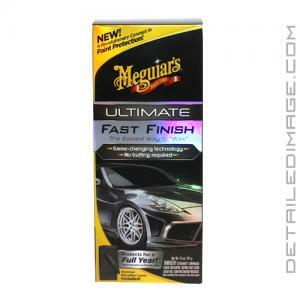 The Meguiar's Ultimate Fast Finish is an easy to apply, spray on wipe off coating! When applying a coating, the application can take a great deal of time. Meguiar's noticed this and formulated Fast Finish with a unique long-lasting synthetic polymer, that helps provide you with not only a great deal of protection but also with an overall easy application process. The aerosol can allows you to spray the product directly onto the paint, wiping away excess with a clean microfiber towel. This easy application can save you valuable time during the detailing process! Fast Finish protects your paint for up to a year and helps increase the gloss, depth, slickness and water beading properties of your paint. 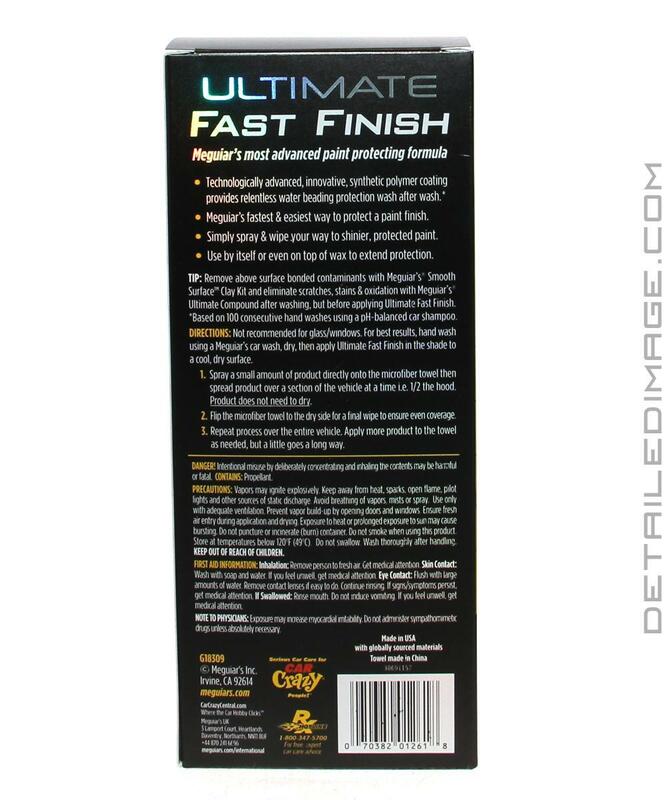 If you want to save time during while still applying a durable layer of protection, the Meguiar's Ultimate Fast Finish is a great choice! Technologically advanced, innovative, synthetic polymer coating provides relentless water beading protection wash after wash.
Meguiar's fastest and easiest way to protect a paint finish. Simply spray and wipe your way to shinier, protected paint. Not recommended for glass/windows. For best results, hand wash using Meguiar's car wash, dry, then apply Ultimate Fast Finish in the shade to a cool, dry surface. Spray a small amount of product directly onto the microfiber towel then spread product over a section of the vehicle at a time i.e. 1/2 the hood. Product does not need to dry. Flip the microfiber towel to dry side for a final wipe to ensure even coverage. Repeat process over the entire vehicle. Apply more product to the towel as needed, but a little goes a long way. Awesome product easy application and great shine.